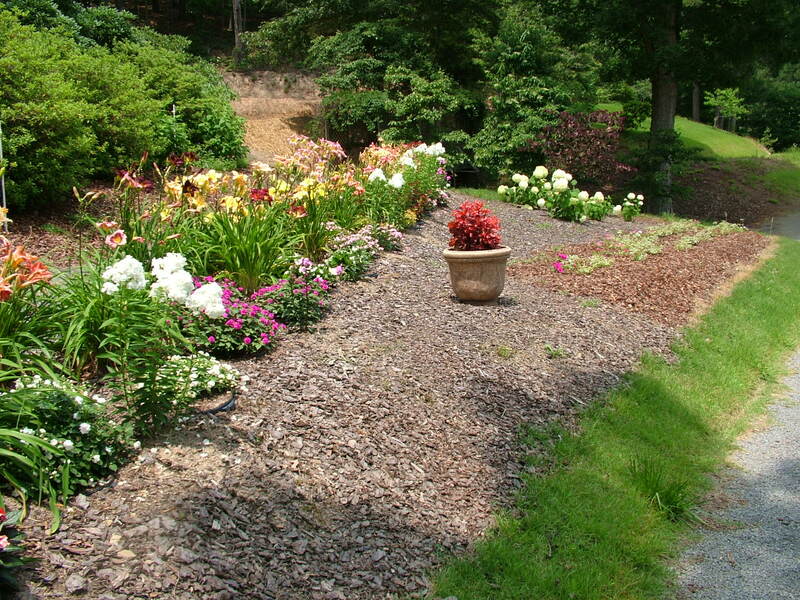 Sunshine Hollow offers beautiful flowers and scenery throughout the season with hundreds of varieties of perennial flowers, annual flowers and shrubs. bloom seasons. 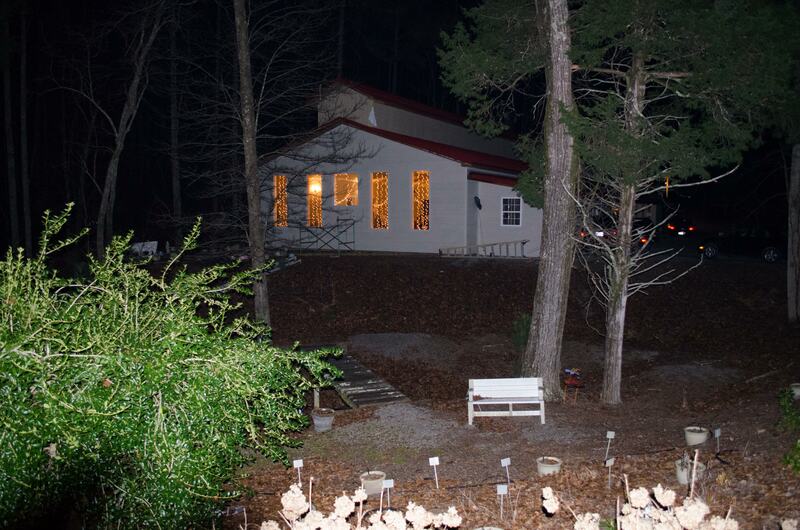 It also has one of the most elegant Wedding and Reception Halls in East Tennessee. 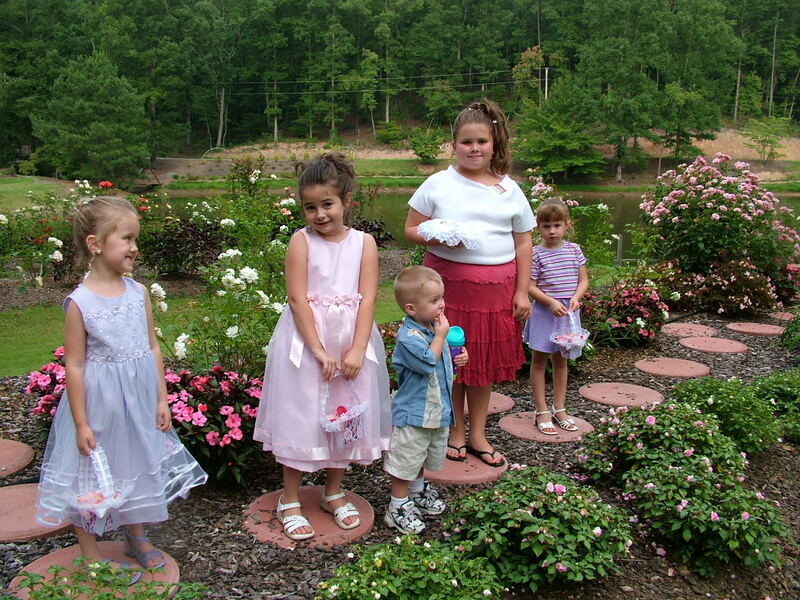 Both the garden wedding site and Reception Ballroom is situated in the middle of 160 acres of unspoiled forest. The Gardens and a two acre sparkling lake serve as the backdrop for our wedding site. While the Wedding/Reception Ballroom is situated in one of our Shade Gardens surrounded by Hydrangea, Roses, Rhododendrons and other hanging baskets and pots of annual flowers. Behind our wedding pergola is a large raised backdrop of roses, daylilies and other annual flowers plus shepherd's hooks of hanging baskets. The main outdoor wedding area is a one half acre lawn which slopes gently toward the wedding arch with the lake as a backdrop. The lawn area is the world's finest lawn grass "Meyer Zoysia" and is like a green carpet under your feet as it leads down to the wedding arch. 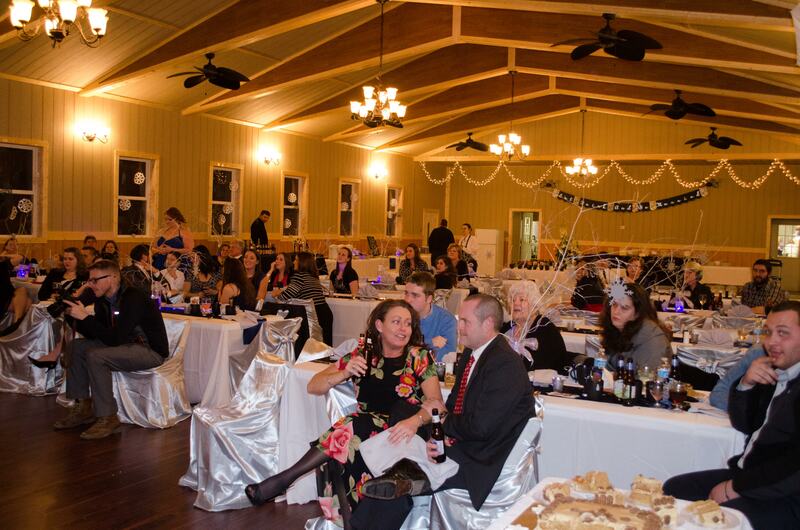 Whether you have your wedding outdoors or indoors the reception can be held in our new 5,000 square foot Event Center which provides ample room for groups up to 200 seated guests with room for a dance floor and a buffet area. Our reception venue is surrounded by our beautiful shade gardens and has over twenty large windows for viewing the Gardens. The center has twenty foot high cathedral ceilings with rustic Chandeliers and wall sconces which can be dimmed to provide a candlelight effect. 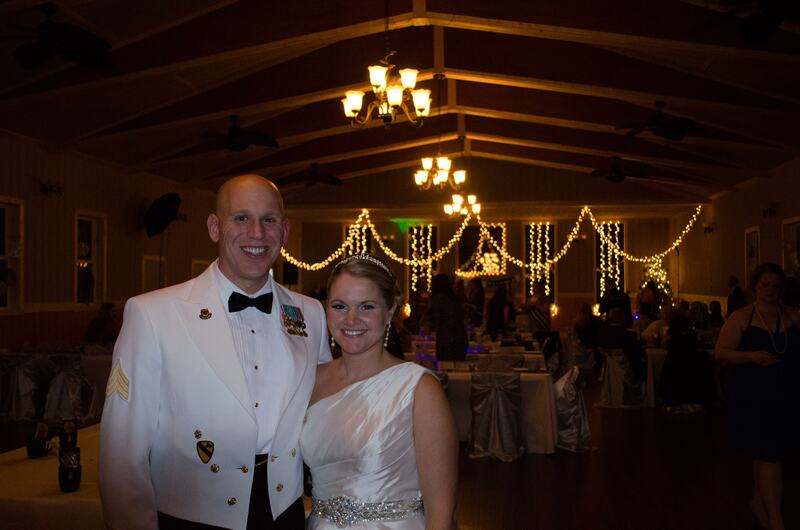 Six thousand wedding lights form a canopy over you guests and adorn windows and walls. 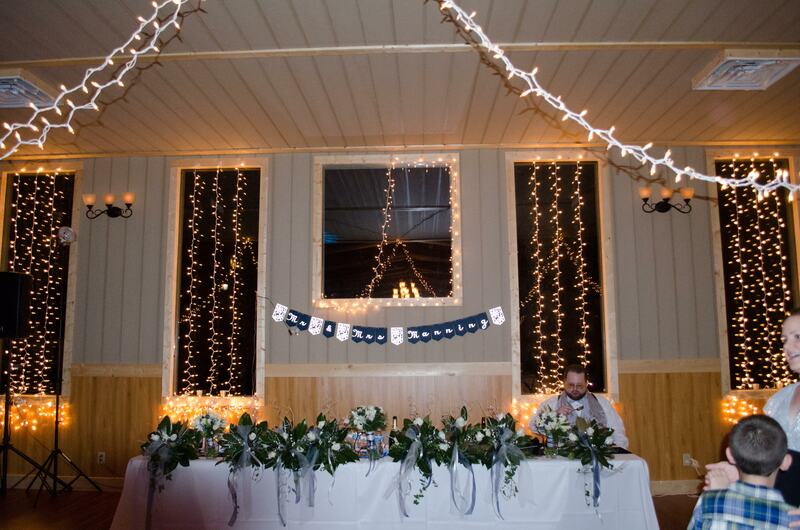 Lighted trees and wedding arch also combine in providing a maical effect to the Ballroom. Star light lasers also add to the magic by projecting thousands of red and green fireflies on ceilings and in the forest surrounding the Ballroom. We specialize in home-cooked buffet meals prepared fresh right in our own kitchen. 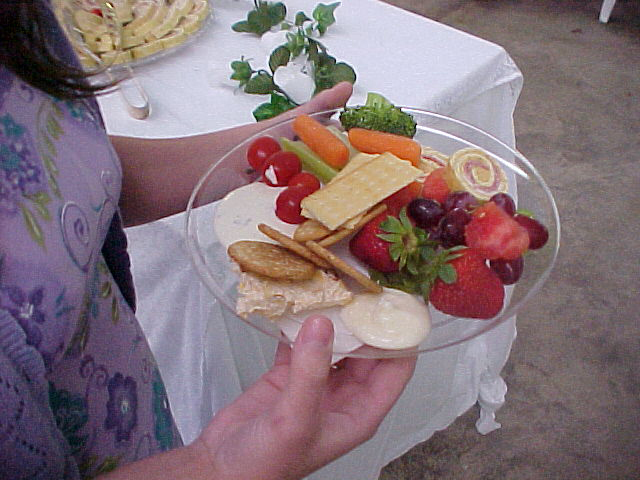 We also offer a finger food type wedding receptions with your choice of many hot or cold selections. If we provide your catering, our venue rental includes all rental fees for wedding chairs, guest tables with linens, and guest chairs. 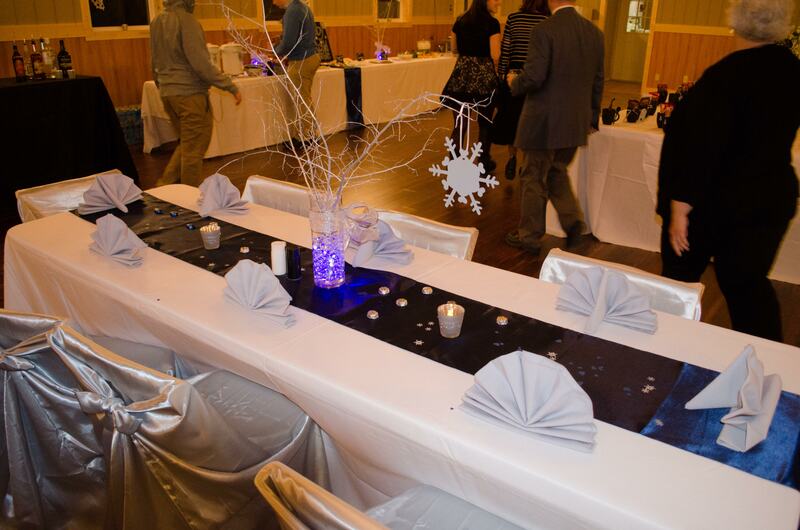 We also provided a gift/registration table and a table for the wedding party. For indoor weddings we can set up the Wedding in the end of our Ballroom under our large picture windows which look out on the Gardens. At the end of the wedding, chairs can be picked up and stored quickly to provide room for the dance floor at the Reception. 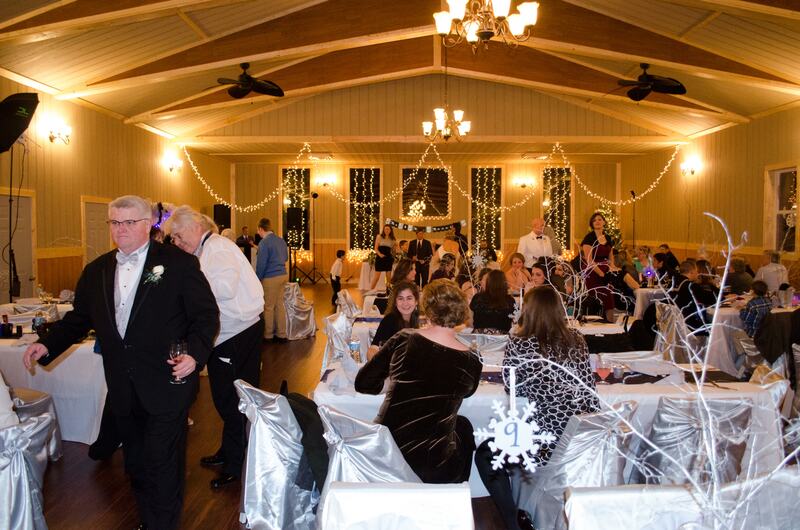 The Ballroom is also available for a backup wedding site in case of inclement weather interrupting an Outdoor Ceremony. This will save the cost of renting a tent. 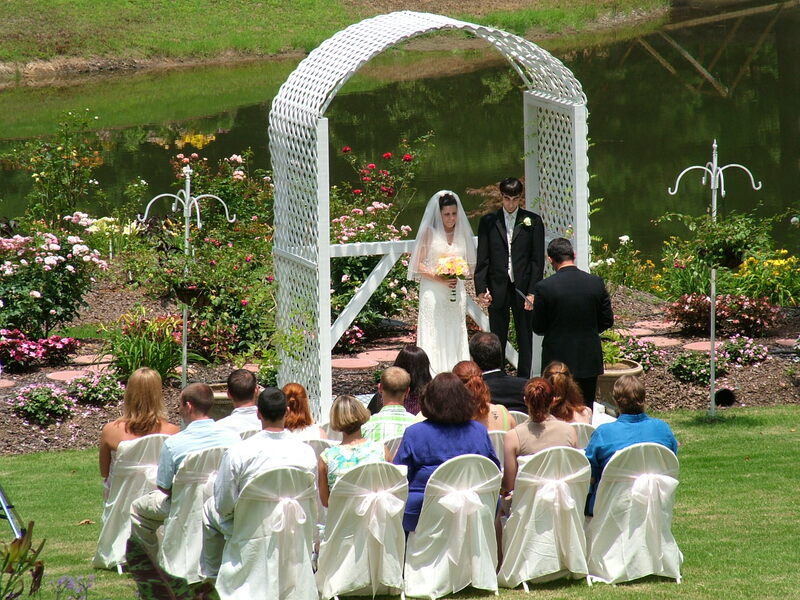 For outdoor or Garden weddings, chairs (Which are included in our venue rental) for the wedding guests can be set up for up to 200 or more to make a gentle amphitheater for the wedding event. A good view can be had by each attendee. Weddings that are held after 4:30 P.M. also take advantage of the fact that the sun sets early behind the hills that form the Hollow so the wedding site is in shade. Sunshine Hollow can furnish power for music players or instrumentalists and shepherd hooks for additional flowers or baskets of programs or favors. Version: a, April, 2006. Page generated 10:40 EDT; Saturday, April 20, 2019.